Here’s another new elephant ear we’re thinking about introducing, but we’d love to hear your thoughts. Mature height is 3-4′ and it does spread among other plants. We are calling it Colocasia ‘Smiley Face’. This is an unidentified species, probably from North Vietnam, that has been hardy for us for over a decade. Thoughts? Winter Structure for Your Garden! Everillo!! 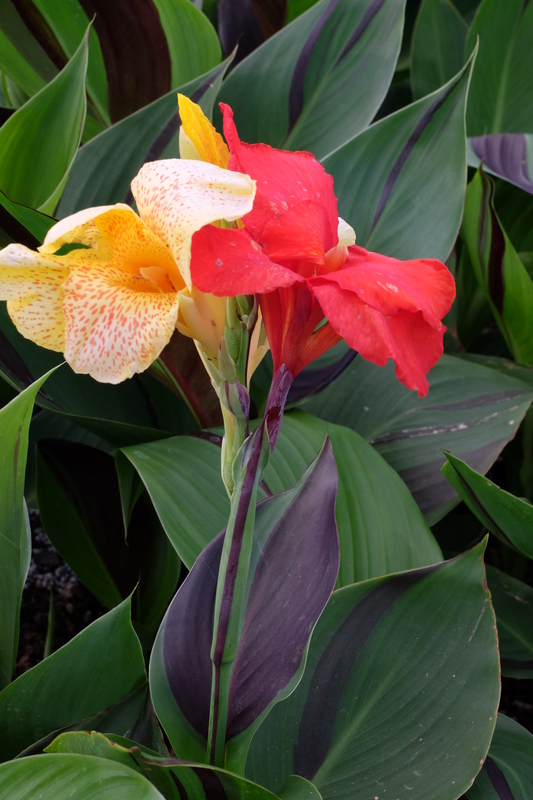 Here’s an image we just snapped of one of the craziest canna lilies we grow…Canna ‘Cleopatra’. The purple and green random leaf patterns (chimeras) are stably unstable. When the color splits the leaf, the same thing happens on the flower stalk. Flowers on the purple side of the stalk are red, and those arising from the green side of the stalk are yellow with red spots. Canna ‘Cleopatra’ is sure to evoke lots of comments in the garden. Astilbe chinensis ‘Amber Moon’ is looking fabulous today! Who cares if it ever flowers…I’d grow it for the foliage. 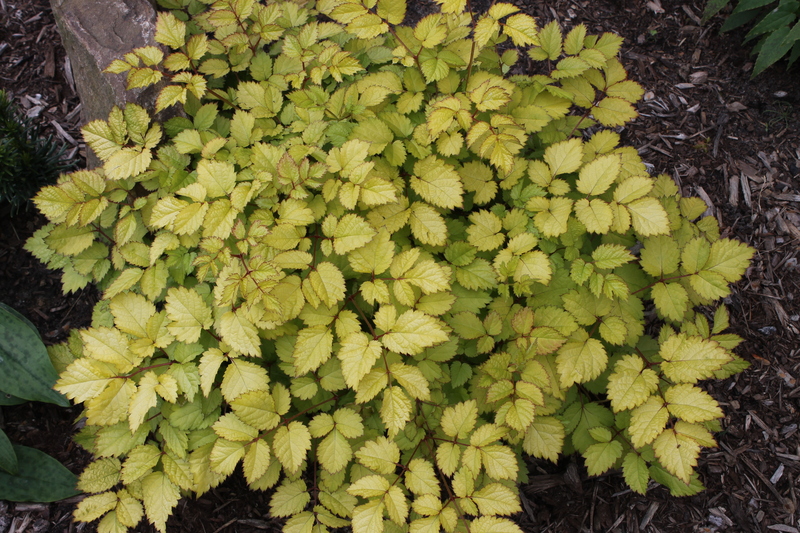 Because it’s an Astilbe chinensis, it’s tolerant of our summer heat and humidity…a great Darrell Probst introduction. 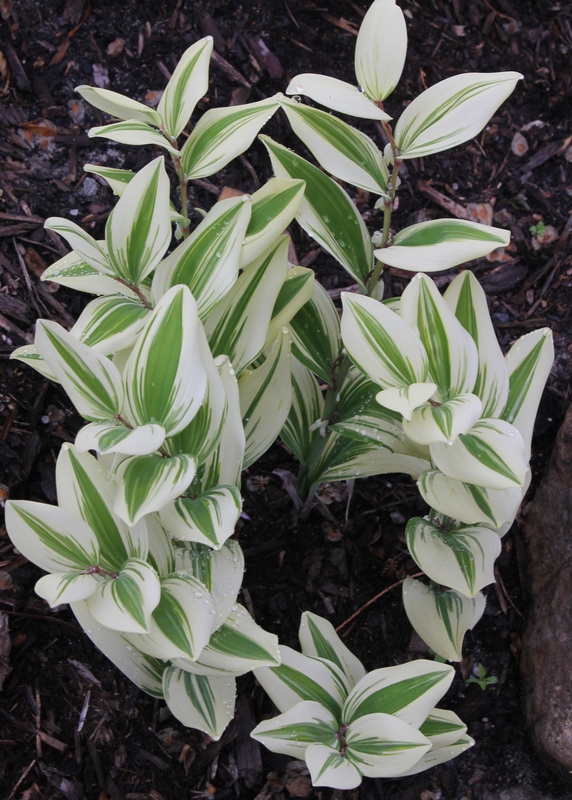 The Solomon’s Seal, Polygonatum odoratum ‘Angel Wings’ looks delicious in the garden today! Light shade to part sun is ideal.